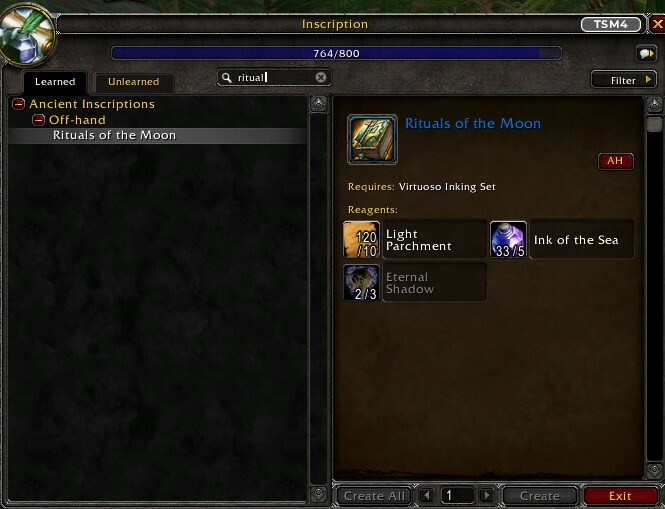 Rituals of the New Moon is an inscription technique. 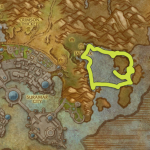 It is Bind on Pickup so take your scribe to do the farming. 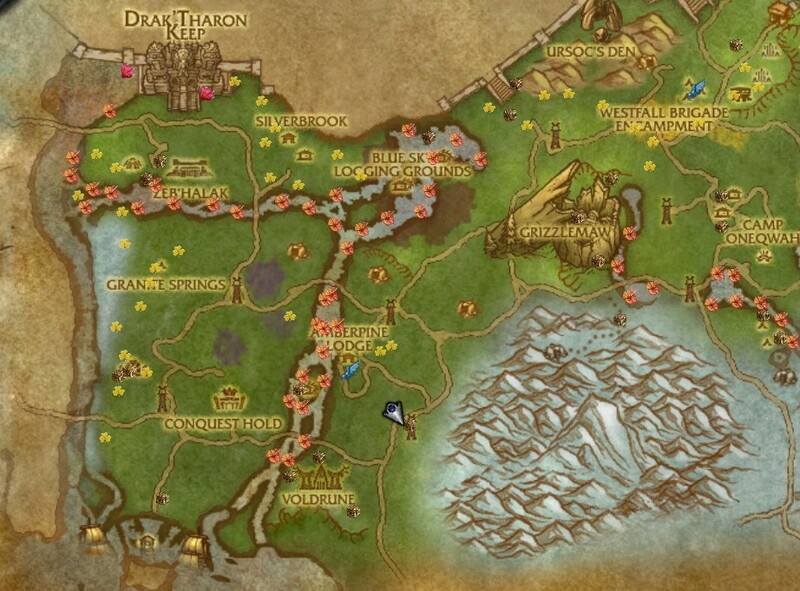 You are heading here, a tower area in Grizzly Hills, South-East of Amberpine Lodge, East of Conquest Hold, Northwest of Voldrune, along the road. 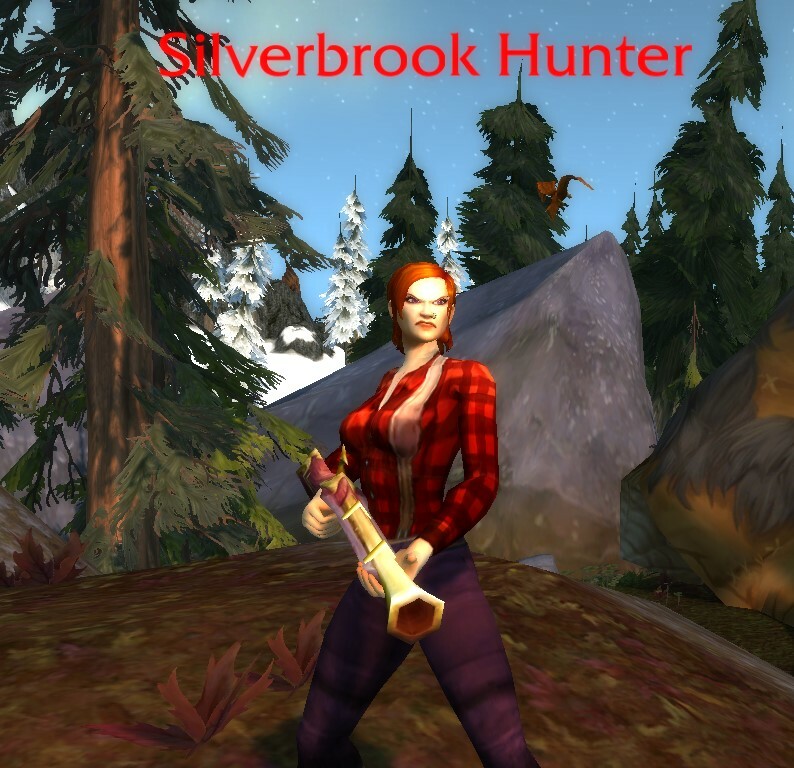 You will be farming Silverbrook Hunters. 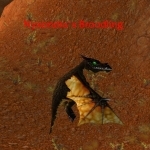 Need Eternal Shadow? Check the Frozen Orb Quick Flip Trick. When you craft the Rituals of the New Moon, it has a chance to become one of any of the wolf colours. Grey, White, Black or Red. 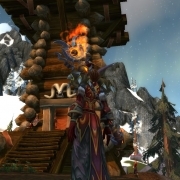 The offhand weapon has Use, which turns the user into a giant wolf. While in wolf form, the user can run like a wolf, and do the wolf /dance. 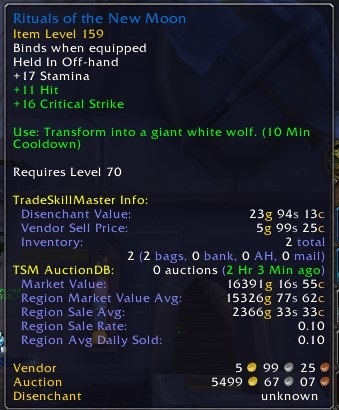 The effect is removed if you unequip the offhand. 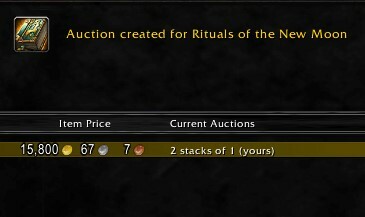 Because it is a rare item on the Auction House, you may get more bites by advertising on trade chat. 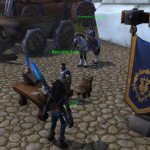 However, beware that if you do advertise on trade chat, other scribes with the item might be reminded to post, and try to undercut you. It’s your choice! 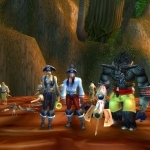 /2 Want to be a Worgen but you’re Horde? 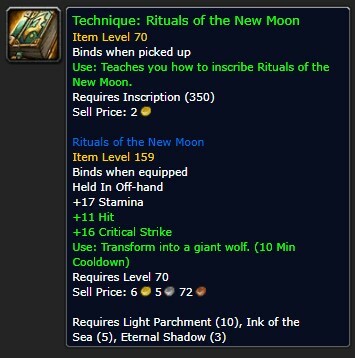 Buy [Rituals of the New Moon] rare item on AH now. Comes in 4 colors. 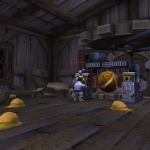 /2 Run away little girl, run away! 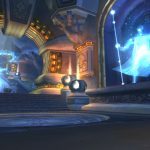 Frighten your guildies with [Rituals of the New Moon] Last one on AH. 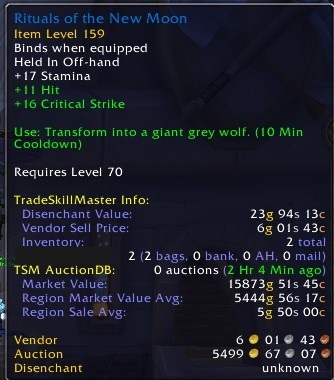 Must sell now. Check the “on use” ability!